An old Mitsubishi Fuso Great FP413 series tractor without its trailer is spotted here passing by at Yishun New Town in Singapore. 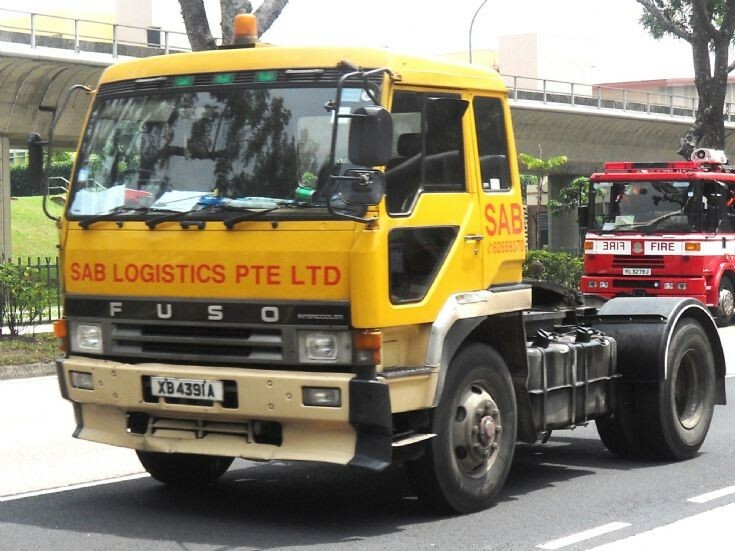 Owned by SAB Logistics Pte Ltd, it is heading southward towards the city to an unknown destination. Behind it is seen a Scania Fire Engine truck from SCDF. Another photo of this tractor can also be seen from picture #6944. Photo taken July 2010.